Irregularity: Cover with minor marks. 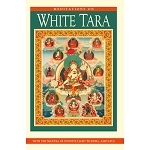 This practice is restricted to only those with the appropriate tantric empowerment. If you are unsure whether you are qualified or not, please email us at education@fpmt.org. By purchasing this text, you confirm you have received the appropriate empowerment. The power of the fire element to bring about spiritual transformation has been acknowledged in virtually all cultures. 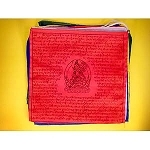 Th e practice of performing fire offering rituals is mentioned in the Bible and the Vedas among other scriptures and was later incorporated into Buddhist tantric practices as a method to purify or atone for mistakes committed during tantric rituals. Buddhist fire offering rituals are related to tantric practices and can be performed at the conclusion of a meditational retreat, after the extensive rituals known as drubchen, or independently of any other ritual practice. Fire rituals can be performed in order to achieve the four types of activities: pacifying, increasing, magnetizing and summoning or drawing in, and destroying. The wrathful or destroying ritual involves extremely wrathful visualizations aimed at the destruction of evil spirits; they can be performed only by accomplished masters with the power to actually dissolve the negative energies into the expanse of reality. 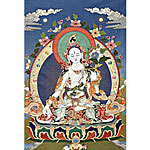 If ordinary practitioners lacking a completely pure motivation and realization of emptiness were to engage in such wrathful rituals, the wrathful energies would harm the practitioner instead of being destroyed. Therefore, here we will present only the rituals for pacifying, increasing and magnetizing or hooking. 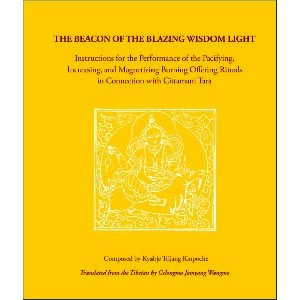 The text translated here was arranged by Kyabje Trijang Rinpoche, the late junior tutor of His Holiness the Fourteenth Dalai Lama, and belongs to the Gelug tradition of Tibetan Buddhism. 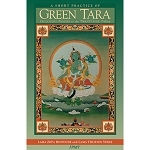 This text explains how to perform the three types of fire offering ceremonies in connection with the mahanuttara practice of the Wish Fulfilling Mother, Cittamani Tara. 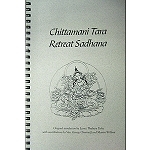 This book includes concise instructions with pictures and drawings for doing the required fire puja after the retreat. Spiral bound, 177 pages, 2010 edition. Click here for the PDF format.